— Adlai Stevenson, What I Think (1954), delivered at Princeton University Commencement, 1953. 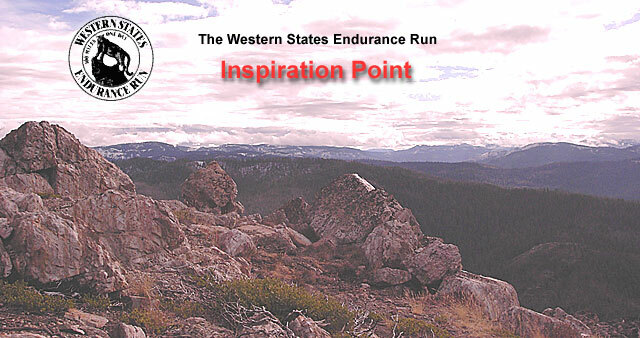 Read at the conclusion of the annual Western States Endurance Run awards ceremony. — Theodore Roosevelt, Citizenship in a Republic, Address at the Sorbonne, April 23, 1910. Squaw Valley, Calif. Shortly before 5 o’clock Saturday morning, a few hundred of us will present ourselves to the staring line of the Western States Endurance Run. This award of mere metal alone does not draw us back each year to these mountains and their task. The greater award is that of the spirit. Material return and public glory might explain the pursuit of other human ambitions – be they public office, corporate control, individual wealth or even an Olympic championship. When this day is done, however, and the last Western States finisher enters Auburn’s high school stadium, each runner will have celebrated a personal victory of nobler dimension. For the Western States 100 is terribly honest in its demands and rewards. During these two-dozen hours in the wilderness we will be governed apart from the world of political favors, hidden agendas, and orchestrated cheers. Our number – which includes woodsmen, ranchers, nurses, investment bankers, mechanics and computer engineers – will all be measured on the same scale. We will test ourselves against the mountains. Along the emigrant trail of granite clefts, majestic forests and pristine streams we will feel the presence of the Paiute Indians, the mountain men, gold miners and pioneer families. As morning gives way to afternoon in the lower elevations, where oaks and grasses replace the tall pines of the ridges and where rivulets merge into the defined forks of the American, we will encounter the oppressive Central Valley heat working its way up the canyons. When dark and coolness come, our way along the silent trail will be marked only by flashlight and the distant lights of Auburn. By the time we reach the finish we will have found, both physically and mentally, as many valleys and peaks as mark the trail. For those who come into Auburn arrive with a rare grace. The runners who press through the weary and lonely hours can get through only if they are tough and at peace with themselves. But we could not endure without the unspoken support of our companions on the trail and the palpable support of friends who waited with aid at the checkpoints, paced us through the night and kept us on the trail this day and months of training before. To the extent that an endeavor like this must finish with a formal ceremony, Sunday afternoon will find us cleaned-up, euphoric and exhausted at the Placer High School. There we will celebrate the award of each buckle and plaque. But we will also openly celebrate those who didn’t make it as far or as fast as planned. We know that between Squaw Valley and Auburn lurk snow crevasses, sharp rocks, bears, cougars, rattlers, skunks, darkness and the extreme frontiers of the body and the mind. Having encountered these before, each of us can affirm that we achieve more in victory or defeat than in staying home to risk neither. The highest award of Western States becomes a self-assurance that celebrates this event before it begins. In spite of the distinction of that silver buckle, and perhaps because of it, Western States proves that honor lies not so much in reaching the finish as in daring to arrive at the start. — Los Angeles Times, Opinion Editorial, 27 June 1985. Read at the annual flag raising, Emigrant Monument, Western States Endurance Run.